A lovely handmade item made here in the UK for you. All you avid cooks out there, have we got a treat for you. Most who know the founder of GSDR know that she hates plastic landfill imported from China and the like. A GSDR volunteer happened to post an item in one of our auctions which was a lovely handmade hardwood Spatula made by Tim Foxhall, a small company in Northumberland. 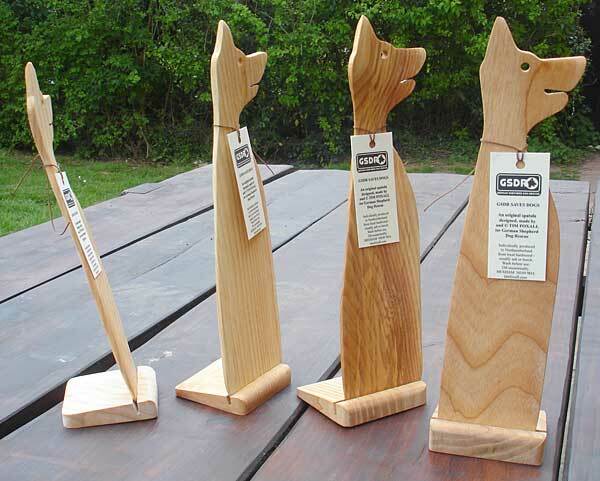 We liked it so much that we approached the company and asked them if they could do us some GSD ones and look at these beauties that they have produced for us. We have even got our logo on the label with GSDR Saves Dogs. 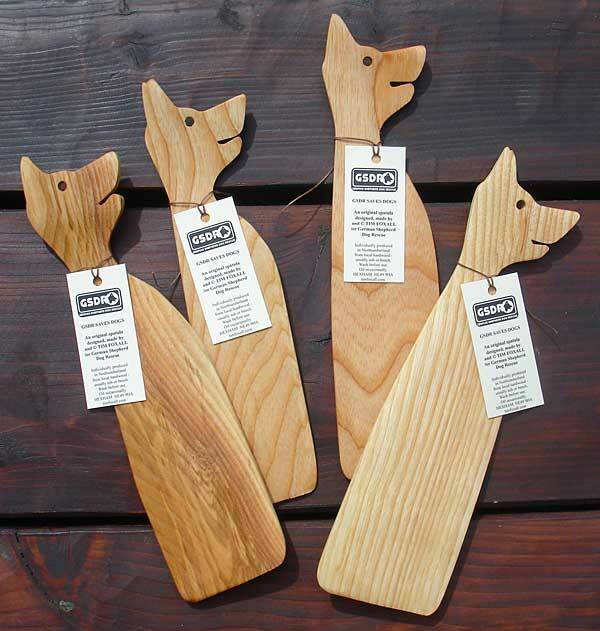 They are all made from locally sourced ash and no two will ever be the same colour shape or size. They are individually drawn, sawn out freehand, curved, sanded in 6 processes then oiled and labelled. We have a few stands available which not everyone will want, but they are nice if you are buying this item as a gift for someone. If looked after, they will serve you for many years and they won't scratch your pots and pans. Please support buying goods from small independent companies here.